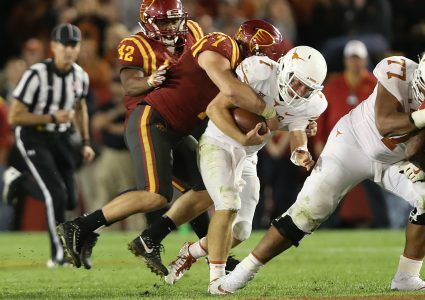 Iowa State has its third All-American of the week. 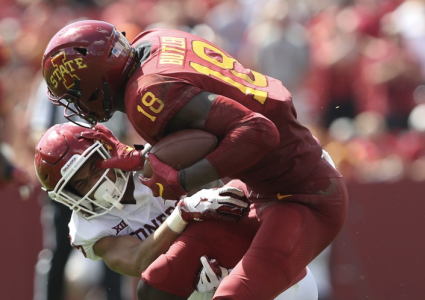 Wide receiver Hakeem Butler has been named a second-team All-American by The Athletic. He joins Brian Peavy and David Montgomery as All-Americans after Pro Football Focus included the duo on their first-team earlier this week. Butler has recorded a school record 1,126 receiving yards so far this season on 51 receptions with nine touchdowns. His mark of 22.1 yards per reception leads the nation while his career mark of 19.4 yards per catch would place him third in the history of the Big 12. His 1,957 career receiving yards ranks fifth in program history. 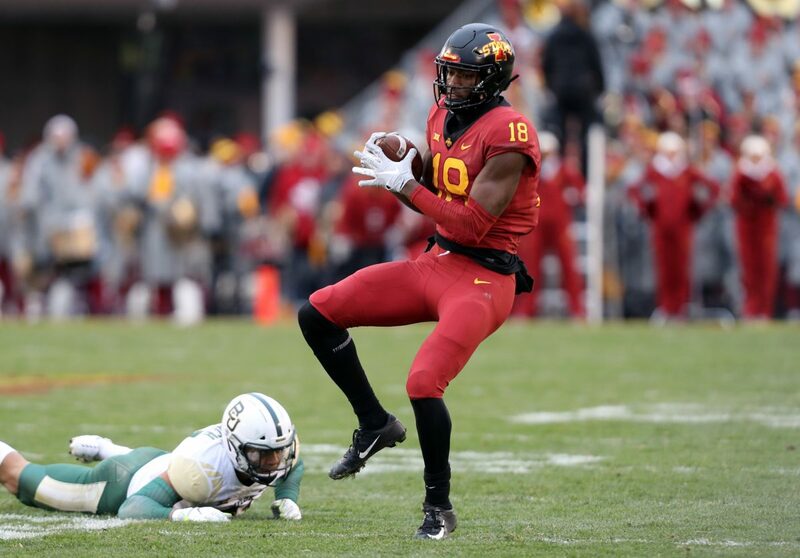 He is the first Cyclone wide receiver to be named an All-American since Tracy Henderson did it in 1983 and 1984. He is only the fourth Cyclone wide receiver to be an All-American joining Henderson, Luther Blue (1976) and Eppie Barney (1966). 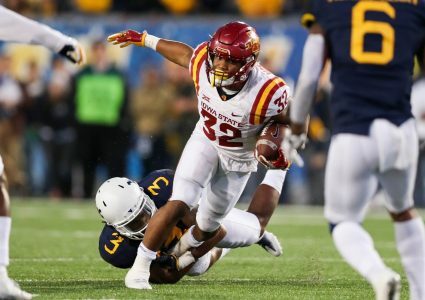 This is the first time Iowa State has had three players receive All-American honors in a season since George Amundson, Merv Krakau and Geary Murdock did it in 1972.